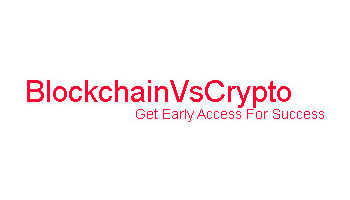 Hardware wallet is more secure than online web wallet or Hot wallets. if you are a long-term investor, this is not a bad idea to store your coin in hardware wallet. Hardware wallet offers great security. Hardware wallet uses it for your day to day transactions. If you lose your hardware wallet or key, you can always restore all your coins on a new wallet with the help of a Backup key. Most powerful Hardware wallet. 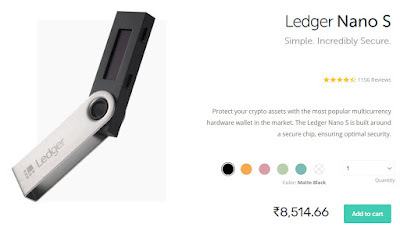 The Ledger Nano S wallet is a product of a France-based Blockchain startup. Simple interface, look & easy to handle. Easy OLD interface, Two buttons with flash drive feel. It is device easily connect to a PC or mobile device via USB cable. I’ve reviewed the Ledger Nano S and I'm impressed. Some facility has same as opponent like Trezor. You can easily your ledger wallet through Ledger Live- Which is a desktop application that allows you to control all of your ledger devices, check your balance whenever you want and send and receive cryptocurrencies. Today I use Ledger wallet. 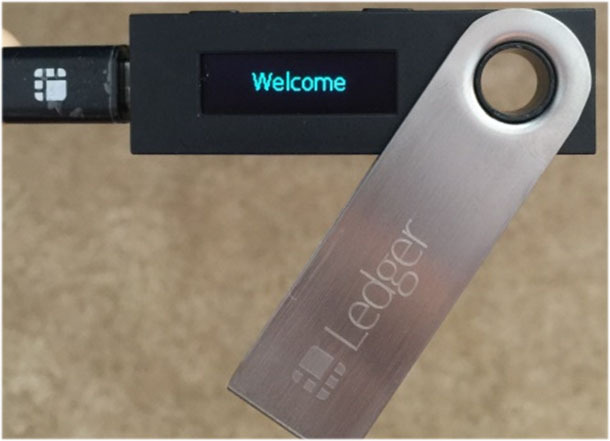 The functioning of the Ledger Nano S is quite simple. Bitcoins stored on the device are kept secure with the use of a PIN and microchip. so, even your computer was getting infected with malware or viruses it could not transfer coins without your approval. The outgoing transactions are only confirmed by pressing a button. The Ledger Nano S is designed in a way that if you perform any transaction it will only record in your microchip. This means that your private keys never saw the world. If a device is proper arranged no one can hack your Private key. If someone steals Ledger, the backup phase used to set up your wallet and can be used to recover your wallet. 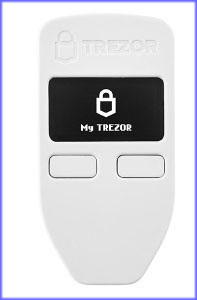 Trezor wallet is the oldest hardware wallet in the cryptocurrency market and probably most valuable wallet. TREZOR thumb-sized device. The TREZOR one has a simple design, interface, look and very easy to understand. Trezor wallet supports Bitcoin and another altcoin. Buying cost of Trezor wallet is 99$. This wallet was released in 2013. The Trezor hardware wallet is the first Hardware wallet Created by SatoshiLabs. It designed as a calculator with an OLED screen. It has 24 recovery seed key and nine-digit pins to ensures its security in case you lost device or wallet get damaged by any reason. You can use the Trezor wallet with a web, Android devices. Trezor wallet used with apps such as TREZOR Wallet and Mycelium. Trezor now supports Seven Altcoin and bitcoin with costs $99. 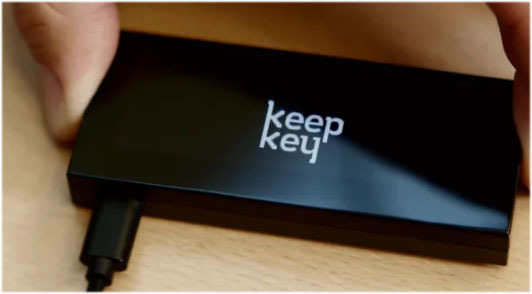 KeepKey is another hardware wallet available in the market for storing bitcoins. It's relatively lower in comparison as compare to previousLedger Nano S or Trezor. Larger in size, and not convenient to carry and travel in a pocket. The feature is same like backup seed key feature and pin code feature. This hardware wallet supports Six cryptocurrencies including bitcoin. Cost is $129. It's angular design. The Keepkey supports storing your BTC, BCH, ETH, LTC, DOGE, DASH. It is very important to store your asset Securely. If you holding Cryptocurrency in Web wallet or in-app wallet it's always dangerous. Anytime you lost your asset by hacking. Better to store your cryptos in hardware wallet if your portfolio is bigger.